Lucille Feider of Sheboygan, formerly of Belgium and Cleveland, age 94, died on Monday, July 4, 2016 at the Sheboygan Senior Community. She was born in Belgium, WI on January 15, 1922, to Michael and Elizabeth (Hamm) Krier. Lucille had fond memories of her involvement with the Krier Preserving Company, worshipping at St. Mary's Lake Church, and her women's baseball team. Lucille attended St. Mary's Academy, Milwaukee, and St. Theresa's College, where her love of music was fulfilled as a clarinet player in the school band. She excelled in women's basketball, volleyball, and was a lifeguard at the college pool. On June 24, 1944, Lucille married Dr. Arnold P. Feider of Dacada. After his residency in Delaware and service in the U.S. Navy during World War II in the Pacific, the couple resided in Cleveland, WI where he began his surgery and general medicine practice. Dr. Feider and Lucille were charter members of the Wally Byam Caravan Club in which they enjoyed many years of friendship and travel with owners of Airstream trailers. Lucille's Cleveland years were filled with raising her six children after the unexpected death of her husband in 1959. She also participated in St. Wendel's Christian Mothers, The Sheboygan County Medical Auxiliary, and employment as a tour guide at Lakeshore Technical College. When Lucille downsized and moved to Sheboygan in 1977 she became active at Holy Name Church with the St. Ann's Society volunteering at various nursing homes. She also enjoyed involvement in her grandchildren's activities and running errands for Dr. Bruce Feider's dental practice. In 2002 Lucille moved to the Sheboygan Senior Community where her days were enriched with new friendships, stimulating activities and a genuinely capable and caring staff for which her family is very grateful. Besides the supportive staff, family and friends, Lucille's strength came from her strong faith and sense of humor. She is survived by her loving children, Phyllis Zelenski, Robert (Margaret), Dennis (Barbara), Carol (Richard) Gross, Bruce (Roxanne), and daughter-in-law Mary Beth. Her surviving grandchildren include John (Cheryl), William (April) and Paul (Amy) Zelenski, Amy (John) Peltonen, Mary (Sean) Morton, Ann (Zach) Crain, Andrew (Erica), Laura, Greg, Peter and Angela Feider, and Katherine (Blair) Ness and Kristin (fiancÃ© Eric) Gross. She is also survived by cherished brothers and sisters-in-law, Beatrice Krier, Helen Schultz, Margaret Mueller, James Feider, Tony and Loretta Feider, Francis and Sharon Feider, Mary and Joseph Kirklewski, and Marion Feider, along with many nieces and nephews. Lucille was preceded in death by her husband, Arnold, and son Arnold, her grandson, Joseph, her son-in-law, Michael Zelenski, her parents, Elizabeth and Michael Krier, sisters Evelyn Krier and Marie Ansay, brothers Arnold and Herbert Krier, her parents-in-law, Joseph, Anne, and Helen Feider and several brothers and sisters-in-law. A Mass of Christian Burial will be celebrated at ST. CLEMENT'S CATHOLIC CHURCH, 522 New York Ave., Sheboygan, on Monday, July 25, 2016 at 1:00 PM with Fr. Matthew Widder presiding. A time of visitation at the church will be from 11:00 AM - 1:00 PM. Committal prayers will follow at St. Wendel's Cemetery, Cleveland, WI. In lieu of flowers, memorial contributions may be made to Holy Name Church, 807 Superior Ave., Sheboygan, WI 53081 or Sheboygan Senior Community, 3505 County Road Y, Sheboygan, WI 53083. To send flowers or a remembrance gift to the family of Lucille Rose Feider, please visit our Tribute Store. 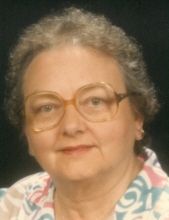 "Email Address" would like to share the life celebration of Lucille Rose Feider. Click on the "link" to go to share a favorite memory or leave a condolence message for the family.